Marketplace Hyperlocal System is very beneficial for both sellers and buyers along with the admin. The Seller/admin can easily add the location where they can ship their products. Customers can enter their location and check the available products and sellers in that location. 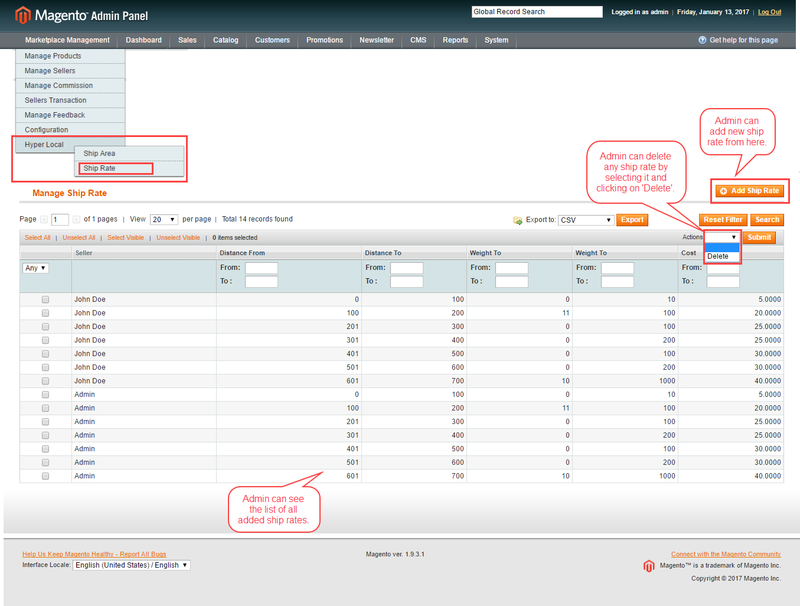 Sellers and the admin can add their location according to which their products are displayed to the customer. The seller and the admin can also add shipping rate according to the location range. Magento Marketplace Hyperlocal System module is an add-on of Magento Marketplace module, you need to install Magento Marketplace first to use this module. 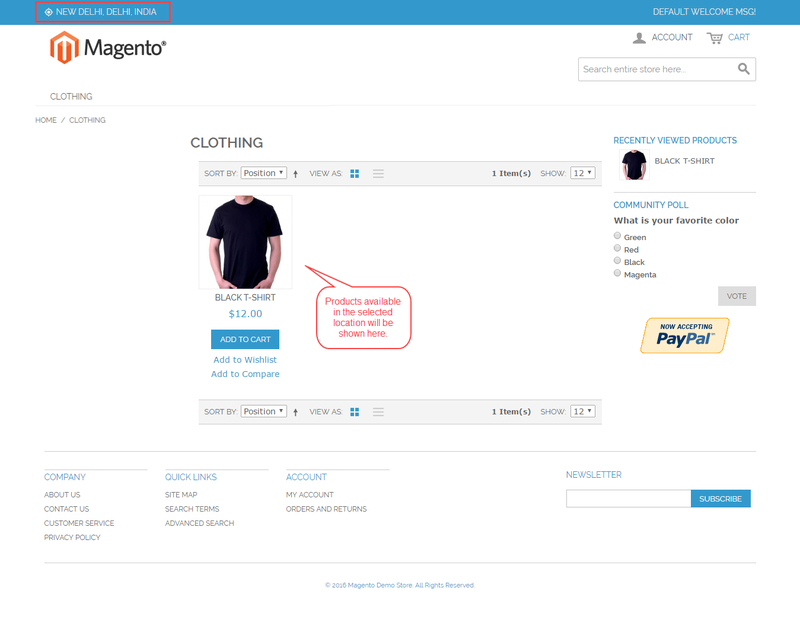 This Module is also available for Magento2. **Note: You must have the Google API Key to make use of this extension. To generate one for you click here. Magento Marketplace Hyperlocal System module installation is super easy, you need to move app folder into Magento root directory that’s it as per the screenshot. After installation of the module, admin can configure the module by going to System > Configuration > Webkul > Hyperlocal Marketplace. Here admin has to enter the heading for location popup window. Admin can select the radius unit and enter the radius range which is used to search sellers from customers location. Admin has to provide the Google API Key so that Google search suggestion for location will work. 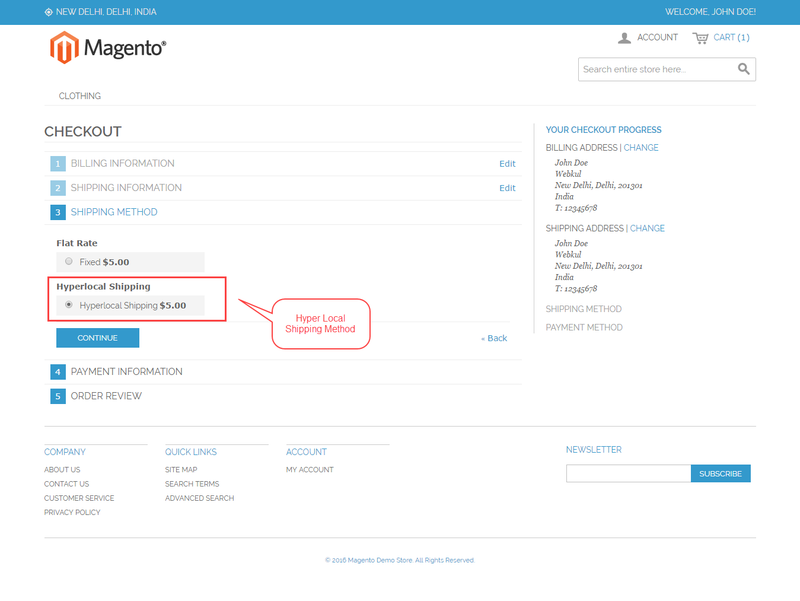 Now the admin can configure the Hyperlocal Shipping from System > Configuration > Sales > Shipping Methods > Hyper Local Shipping. 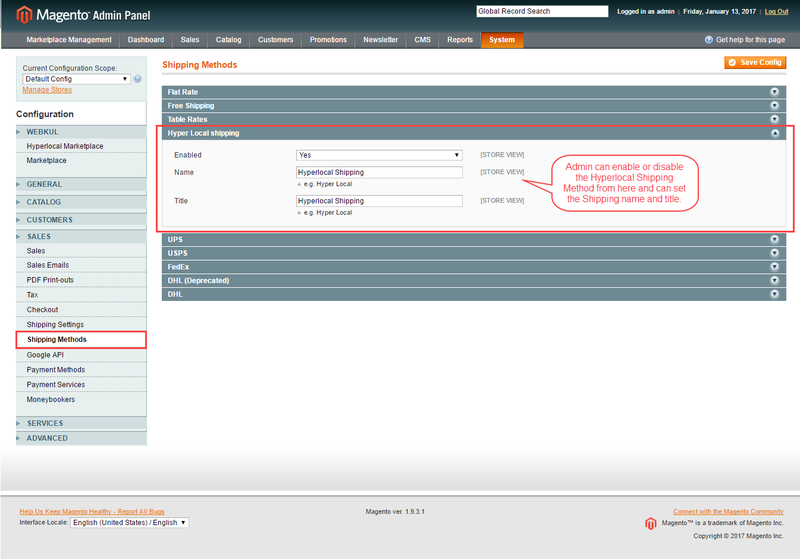 From here admin can enable or disable the shipping method and can set the Shipping Method name that will be visible on front-end. 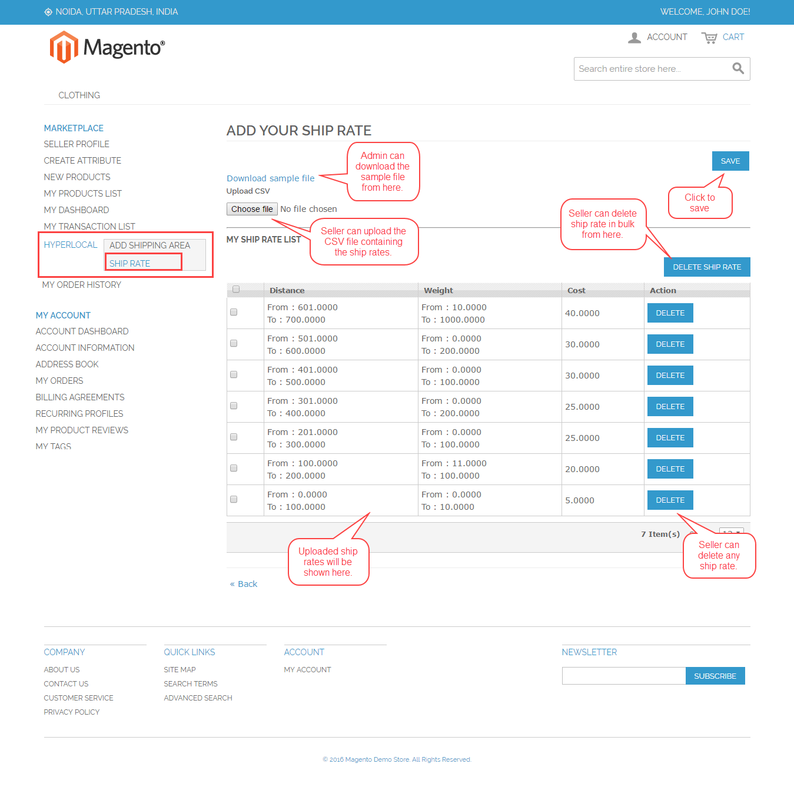 Admin can add Ship Areas and Ship Rates by going to Marketplace Management > Hyper Local. 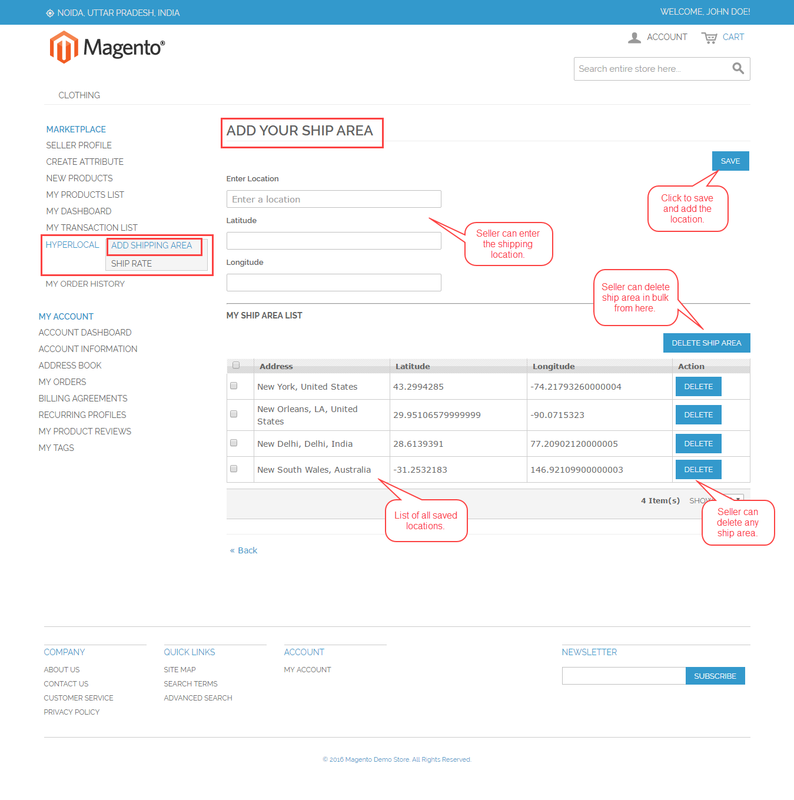 On clicking Ship Area, admin can view and manage all the added Shipping areas. Admin can add/edit or delete any ship area from here. 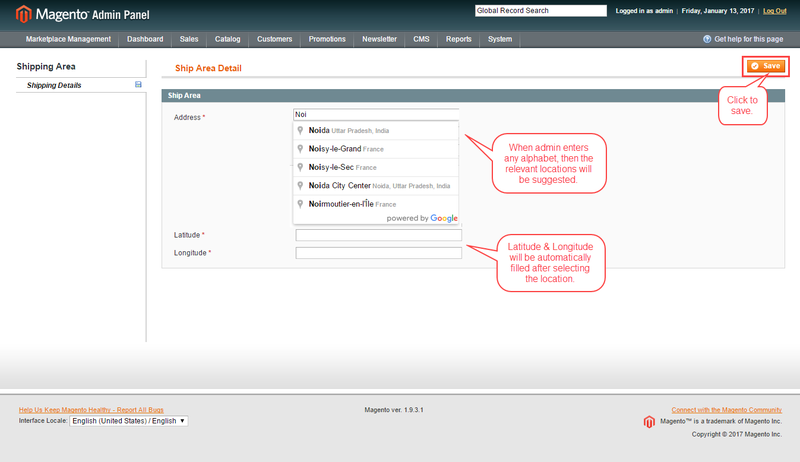 On clicking “Add Ship Area” a new page opens up where the admin has to enter the location and then the latitude and longitude will automatically get filled. Then admin has to save the new ship area. Admin can see and manage the Shipping Rates from here. Admin can also delete any ship rate from here and can also add new ship rates. 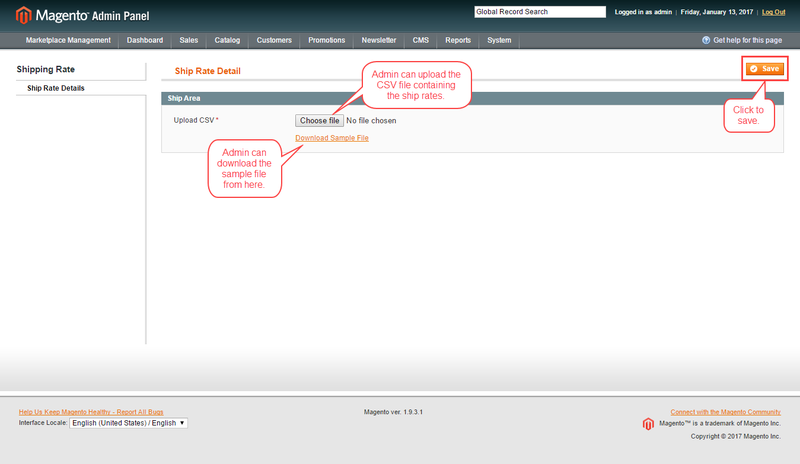 Admin can download the sample CSV file and can then upload the CSV file containing the new ship rates. After the module is installed, sellers can see the “Hyper Local” option in marketplace menu. After clicking on the ‘Hyper Local’ seller will find two options “Add Shipping Area” and “Ship Rate“. 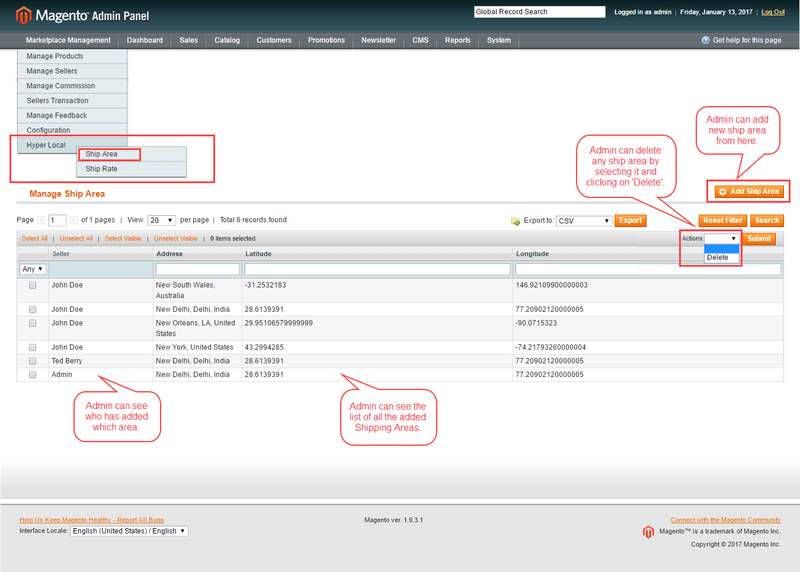 Sellers can click on ‘Add Shipping Area’ to add the locations where they can ship their products. Here seller can add locations and see the list of locations which is already added. Seller can also delete any location if they want. Seller can add shipping rates by clicking on “Ship Rate” and from here seller can upload the CSV file of new Shipping Rates. Seller can also delete any previously added rate. When a customer will visit the website then a pop-up will open asking to enter the location. The customers can enter their location in the pop-up and click on the “Go To Shop” button to save the location. 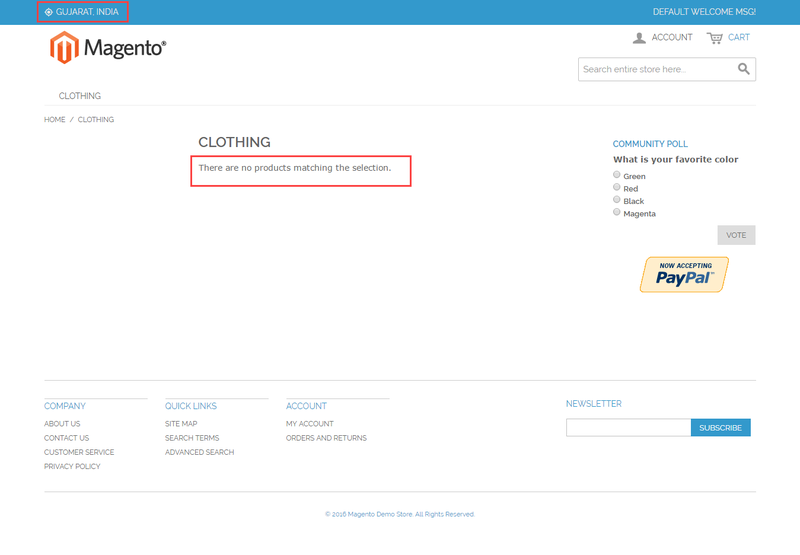 On changing the location the customer will see a pop-up notification stating “On location address change cart will empty”. So if there is any product in the cart then it will get removed from the cart and cart will become empty on location change. If no product is available in the selected location for the selected category than the following message will be shown. If the products are available for the selected location in the selected category then the customer will be able to see and purchase them. While purchasing a product, the customer can select the Hyper Local Shipping Method.